JazzApril Jazz April 2015: International Jazz Day: Celebrate! Yes, today, April 30, is the big finale to the celebration of jazz we've all been having all month long: It's International Jazz Day. Special jazz events are planned around the world, from Albania to Zimbabwe. You can see the list of many of them on the International Jazz Day site. The Jazz Journalists Association itself is co-hosting events in six cities today. 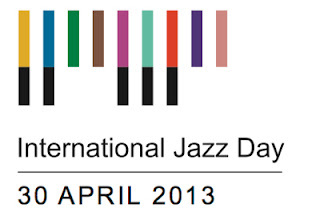 The focal point event for International Jazz Day is the Global Concert that will be webcast live from Istanbul, Turkey, this year's host city for International Jazz Day. Star performers include Herbie Hancock, Esperanza Spalding, Robert Glasper, Eddie Palmieri, Milton Nascimiento and a long list of others. The webcast can be viewed anywhere with an internet connection; it starts at 9pm Istanbul time (that's 2pm NY time, 7pm in London, 4am in Sydney). In some places there's so much going on that you may have to choose (or clone yourself!). Here in New York, the Jazz Journalists Association is co-hosting an afternoon party (starts 2pm) with the Louis Armstrong House Museum. Recently discovered Louis Armstrong recordings will be publicly presented for the first time and trumpeters Stephanie Richards, Igmar Thomas, Jeremy Pelt, and David Weiss will play a new fanfare for Louis. If you aren't the area, this event will also be livestreamed. The JJA is also helping to organize parties and other events to celebrate JJA Jazz Heroes nominated by local communities. Five such events are scheduled for today, in New Orleans (for Kidd Jordan) Ottawa (Roddy Ellias), Seattle (Julian Priester), Detroit (Marcus Belgrave), and Nashville (Beegie Adair). 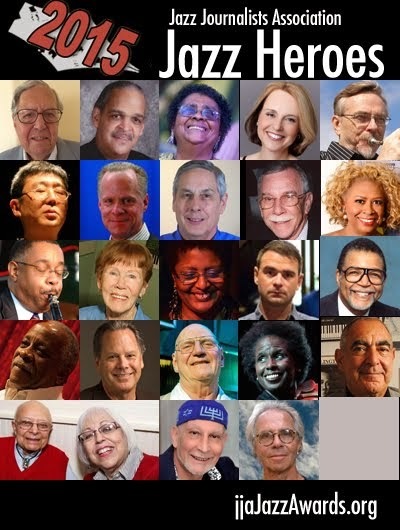 If you live in one of those places, we hope you'll attend to honor one of the folks who keep jazz going all year round in your community-- and to have a great time with other jazz lovers in your area. And, of course, jazz doesn't stop when JazzApril is over. In fact, tomorrow, May 1, the Jazz Journalists Association will be announcing the winners of the 2013 JJA Jazz Awards for Music. The list will be posted at www.JJAJazzAwards.org at noon. So HAPPY JAZZ DAY and here's to MORE JAZZ in the days, weeks and months to come.